The epic rant that Miami Heat center Hassan Whiteside unleashed following Saturday night’s loss to the Brooklyn Nets obviously didn’t escape the notice of the team’s head coach, Erik Spoelstra. Comments regarding the controversy, which led to a subsequent fine by the team on Sunday, were offered by Spoelstra on Monday. Whiteside’s aggravation on Saturday stemmed from the fact that Spoelstra removed him in place of a smaller lineup late in the fourth quarter. The loss at least temporarily delayed Miami’s opportunity to clinch a playoff spot. 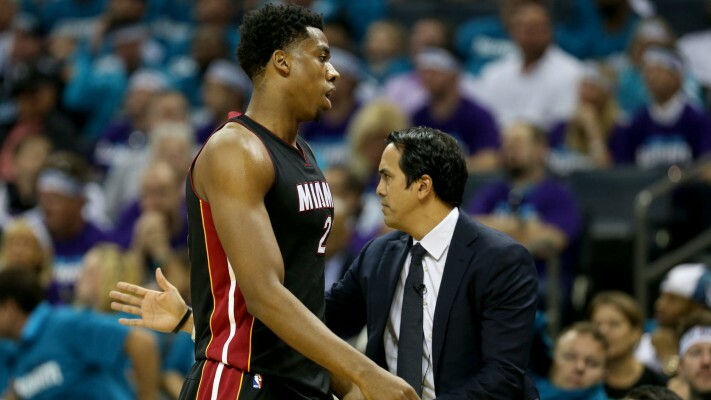 The frustration felt by Whiteside, who did apologize for the outburst on Monday, has periodically surfaced during his tenure with the Heat. It’s also been fueled by injuries that have kept him out of 28 games this season. The Heat currently have the seventh seed in the Eastern Conference with a 41-36 record and would face the Boston Celtics in the first round of the playoffs if both teams stay in the same positions. They’re currently one game behind the Washington Wizards for the sixth seed with five games left. 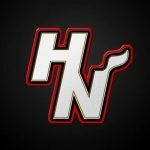 The first opportunity to make a move for that spot will be on Tuesday night, when the Heat host the Atlanta Hawks at American Airlines Arena. Tipoff is set for just after 7:30 p.m.